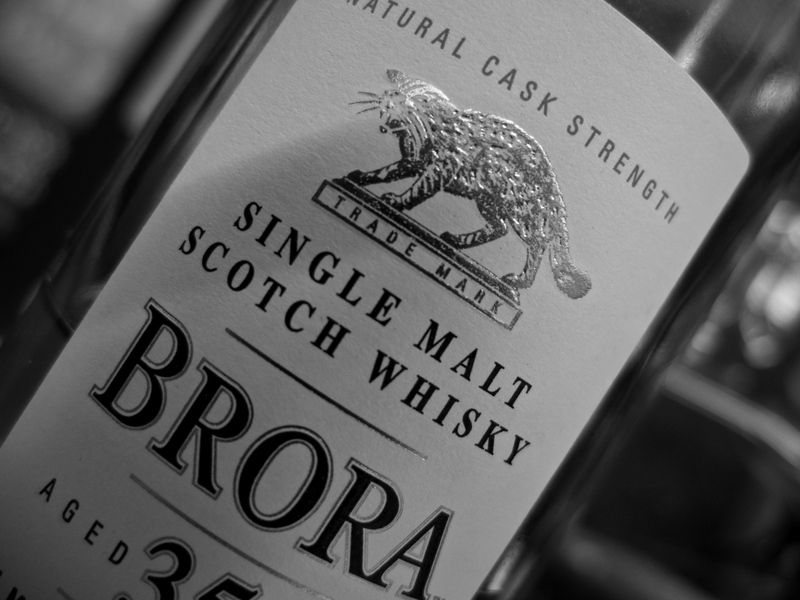 Brora Brora on the wall, who’s the fairest of them all? 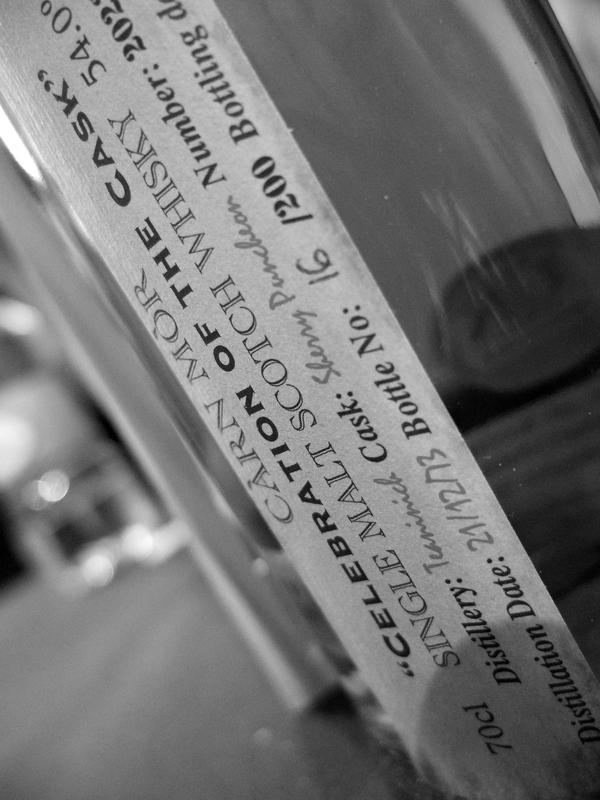 Tagged Brora, Brora 1972, Colin Dunn, Diageo, Rare Malts, The Whisky Show. 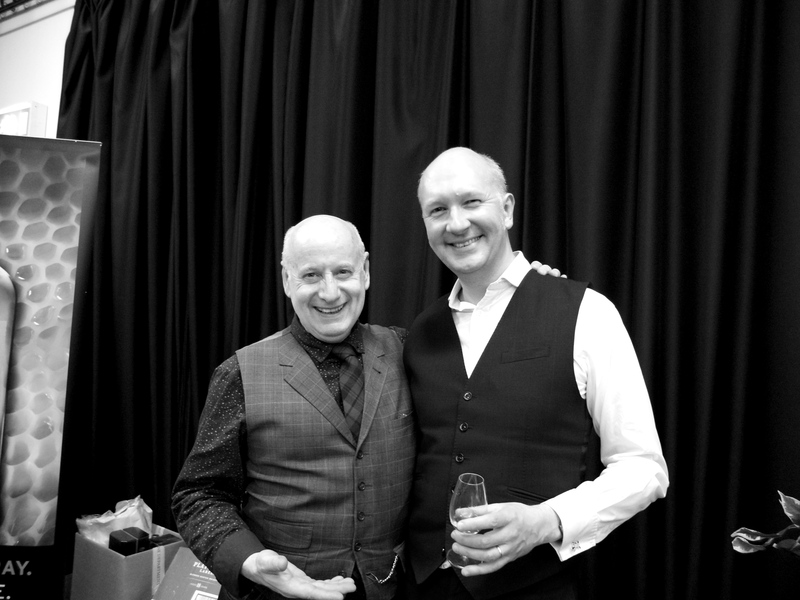 Our first stop was at Diageo’s stand to catch up with Colin Dunn. It also provided an opportunity to try the Brora 35 Special Release from 2013. 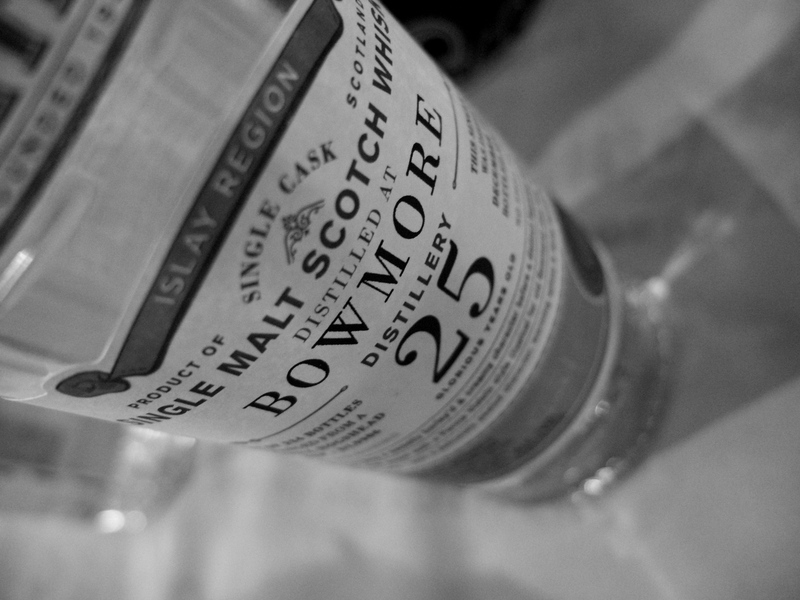 The dram had everything we had hoped for; amazing depth and complexity wrapped in a swirl of smoke. We’ve now tried almost all of the Special Releases from last year, and for me, this is the star. It was great to have a chat with Colin (Diageo) and Chris (Compass Box) throughout the day. Two of the nicest guys in the industry. It’s been a while since I’ve had the Caol Ila 12 so it was time to go back and reacquaint myself with it. For Mike, this is where it all started, and this is a whisky that still punches well above its weight and takes you over the sea to Islay. The Midlands Whisky Festival had all of the right people there. 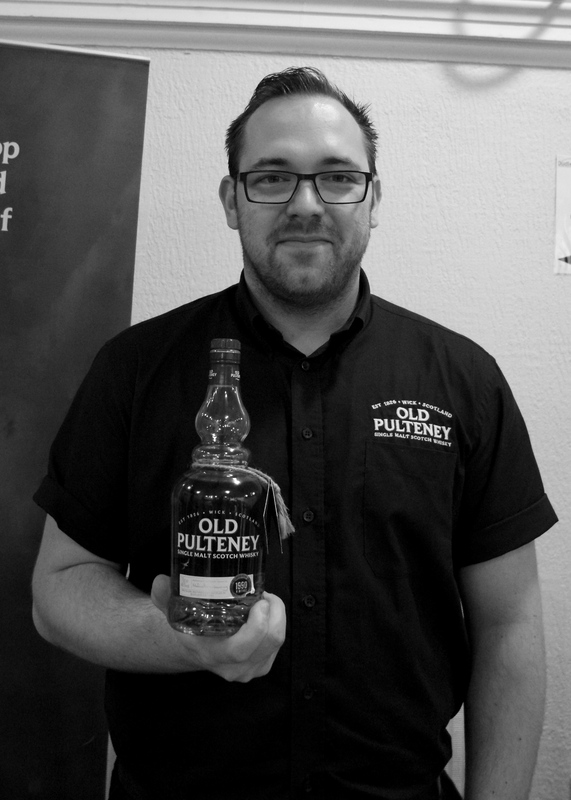 We caught up with Lucas and tasted, for the first time, the peated Old Pulteney from 1990. 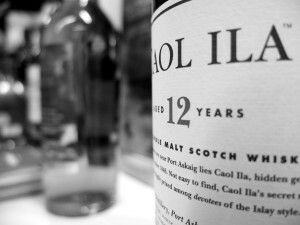 Unusually the spirit isn’t peated, with the peat instead coming from maturation in a variety of Islay casks. This is a fabulous dram, and one of the days highlights. 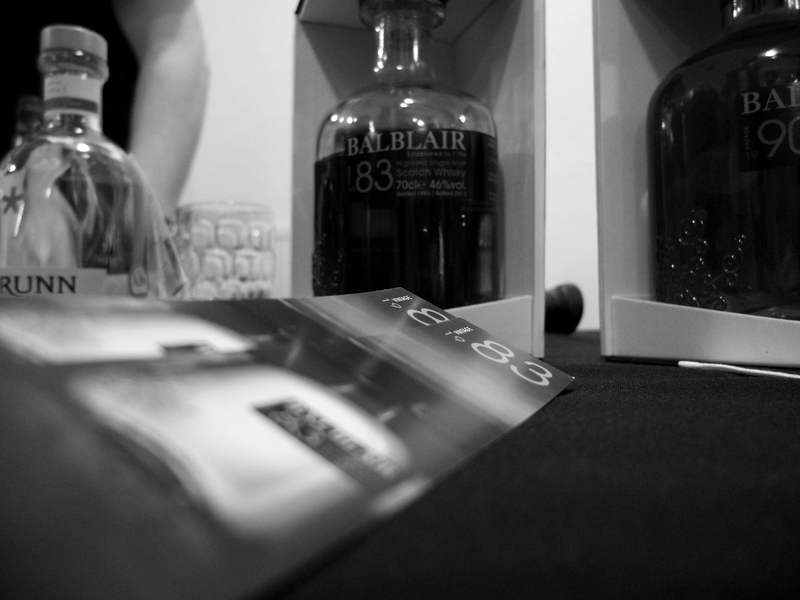 Mike and I are both big fans of Balblair and it was fantastic to try the 1983 vintage again. Full of tropical fruits and spice this is a great whisky. We were thrilled to be able to make Miss Whisky’s chocolate and whisky pairing class. Up for tasting was Tamdhu 10, Balblair 2003, Aberlour 16 (double matured), Balvenie Carribean Cask, and Bowmore 12 – all matched with different chocolate. 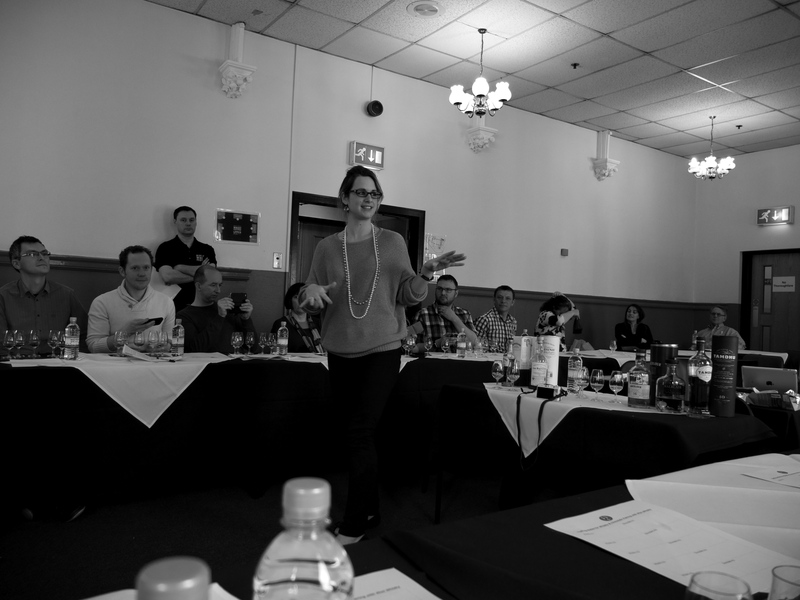 Alwynne led the session enthusiastically and knowledgeably. Each whisky was expertly matched with a different chocolate designed to bring our different characteristics of both the spirit and the chocolate. One of the most interesting combinations was the Balblair 2003 and the Marou (a 78% chocolate from Vietnam). The chocolate lit up the whisky really enhancing the vanilla notes and bringing out almonds and spices. All of the chocolate was from the Chocolate Trading Company and it was really interesting that all the bars were ‘proper’ chocolate. 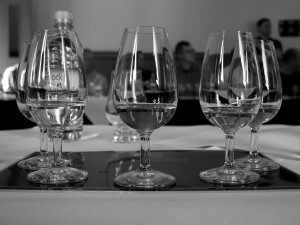 And what I mean by that is that there was no flavoured chocolate in the tasting – just good quality bars that matched the whisky. 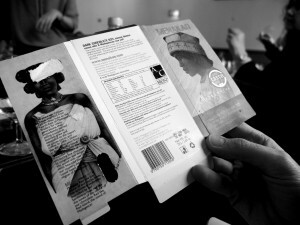 The final pairing featured this chocolate from Madagascar. 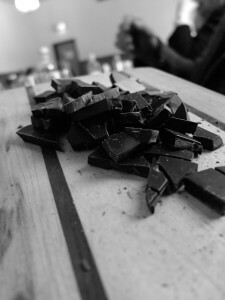 The chocolate itself contained coco nibs (this is what is present before the chocolate is subject to conching) and was tasted alongside the Bowmore 12. 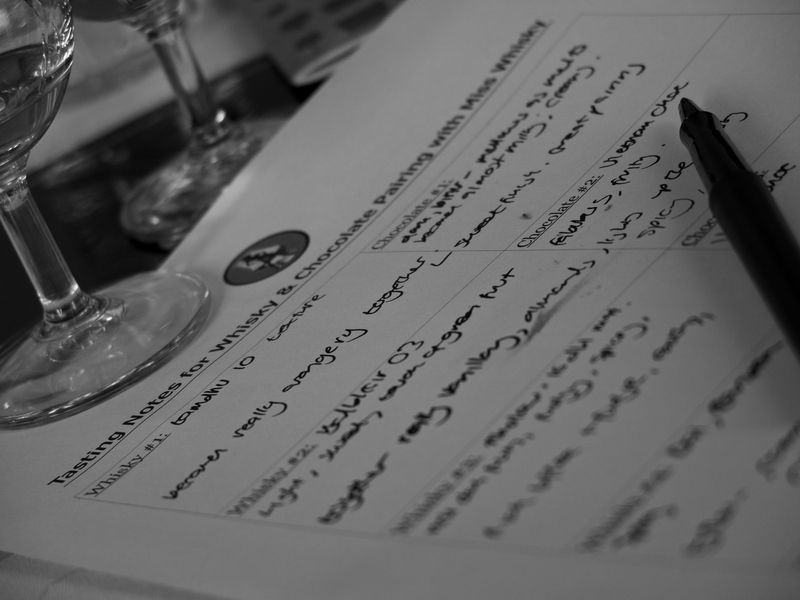 Tasting them together really highlighted the salty notes in the whisky (almost to a sea water level) and was my highlight of the class. Buy this chocolate and try it at home – you won’t be disappointed. Tullibardine may not be at the top of everyones wish list but you should really try and seek out their cask strength stuff. 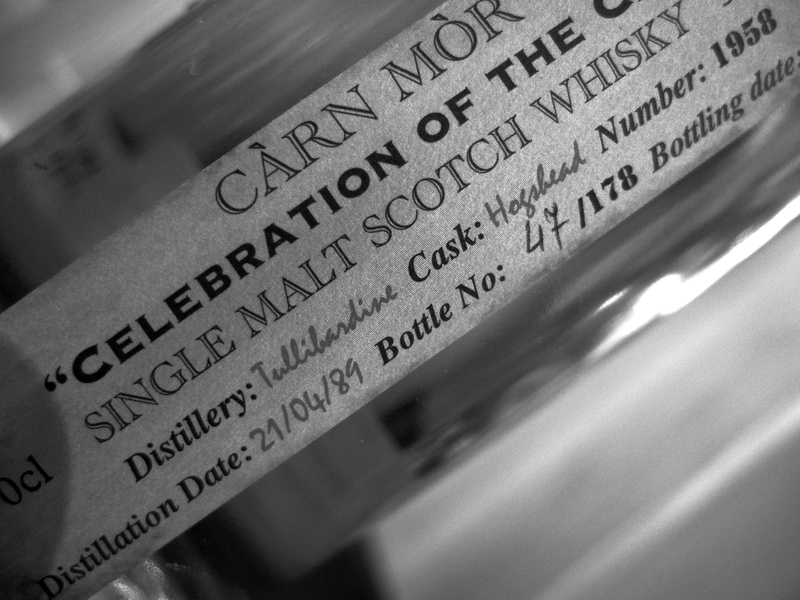 Everyone I have had has been excellent, and this whisky from Carn Mor was no different. It was very savoury neat, but once a drop of water was added it turned very sweet and was almost icing sugar like in taste. Sadly, despite being bottled only 6 weeks ago it has completely sold out! This was a real treat; Teaninich is a whisky I first discovered through Compass Box who use it in crafting some of their famous whiskies, but this is one of the first I have tried as a single malt. Despite being aged for 40 years this was a fresh, light and zingy dram with minimal effects from the wood. 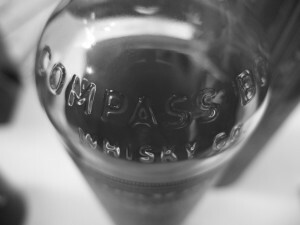 No whisky show would be complete without a visit to Compass Box and it was a real surprise to find that they had Flaming Heart on the stand. I love this whisky; that combination of peat smoke and Chinese five spice just gets me; its a dram that makes me smile – what more could you want? Octomore – the peatiest whisky in the world and oh so much more that peat. The depth and complexity is astounding, and its probably time I bought another bottle! This was a special Bruichladdich. 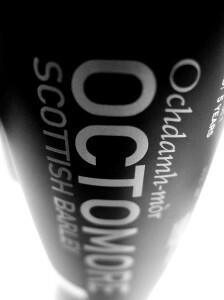 Two year old Octomore from fresh oak. 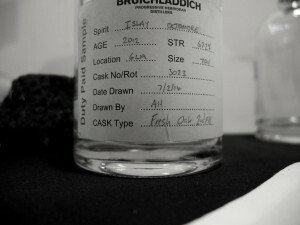 The cask previously contained Bruichladdich and had now been filled with Octomore Spirit. While you could taste the youth in this – there was a new make tint to it; I would have bought it if it was on sale. It may not be whisky yet, but it is shaping up to be something special. Our final stand of the day was Douglas Laing. This Old Particular Bladnoch was lovely; really fruity and jammy with a good dose of spice. 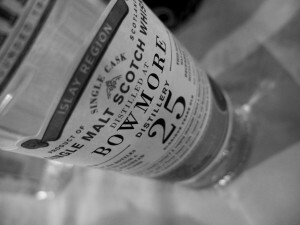 My final dream dram token was used on this Bowmore 25. 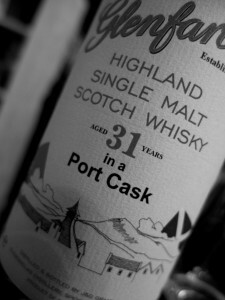 It is a dram I have tasted before and previously I have found it a touch too floral for my liking. At the festival though it hit the spot – a great end to another fabulous show! 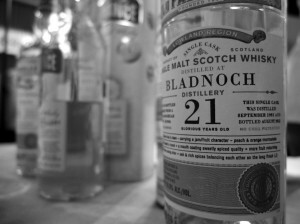 Tagged Balblair, Bruichladdich, Carn Mor, Chocolate, Colin Dunn, Compass Box, Diageo, Douglas Laing, Flaming Heart, Miss Whisky, Octomore, Old Pulteney. 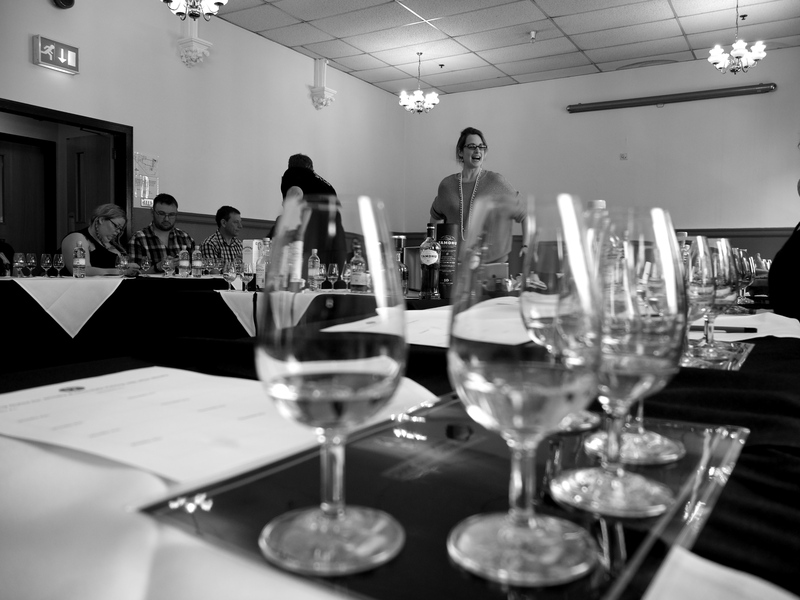 So we thought we’d have a bit of fun and blend our own whisky at the end of Colin’s class at the Midlands Whisky Festival. In truth we copied the guy sitting next to us and agreed with him that finishing our drams so early in the day might not be the most sensible idea. We did however consume all of our Port Ellen, leaving our 30ml blend to be a roughy equal part concoction of: Rosebank 21, Port Dundas 25, Caol Ila 12 (unpeated), Johnnie Walker Platinum, Knockando 25 and Lagavulin 12. This would be special! Tagged Blend, Diageo, Lagavulin, Port Ellen, Special Release.